attention to a total of 17 architectural and heritage sites in Canada either threatened with demolition or already lost. Click Backgrounders for the full story and photographs. Premier McGuinty’s chief of staff about its preservation. progress – and the tax assessment revenues that will result. 14-storey boutique hotel with, ironically, a restaurant on the ground floor. massive Souris Valley Hospital was consigned to landfill. Click Worst Losses for more information. 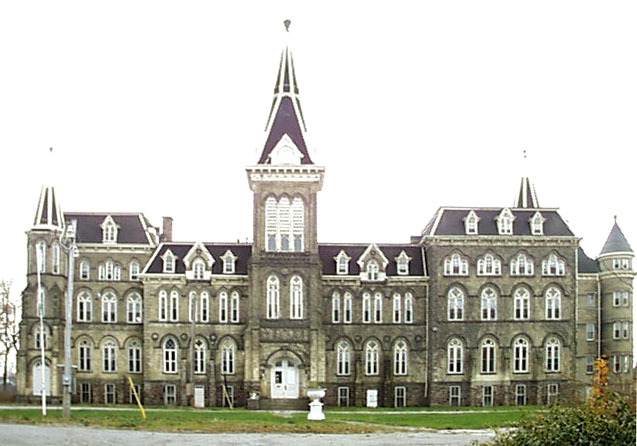 This entry was posted in Alma College, City of St. Thomas, Heritage and tagged Alma College, City of St. Thomas, Heritage Canada Foundation, heritage preservation. Bookmark the permalink. Interesting & pathetic list. Is there a list of any significant properties in Canada that have been preserved or rescued as a result of ‘heritage preservation related organizations’ or government intervention? The College was unfortunately burned down to its footprint but efforts by the members of the Alma Advocacy Association are still being made to preserve what remains – the Chapel, the Music Building and the once beautiful Amphitheatre, site of so many graduations and concerts. Cultural Minister Aileen Carroll remains deaf to the requests of many of the Alma Alumnae. Why did she not listen to the recommendations to preserve it by the Ontario Heritage Foundation?